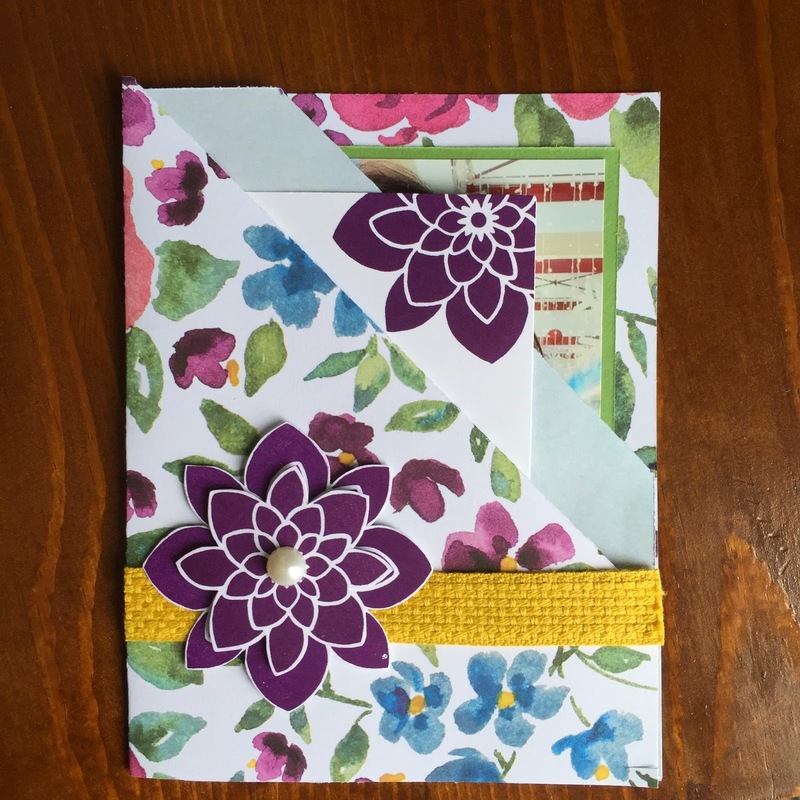 I gave Mitzi's challenge a try over at Soul Scrappers, it's for a tri fold card. I had the idea to place a photo and a little note inside mine for my Mom. I used the new Painted Blooms dsp in the spring Stampin up cattie.